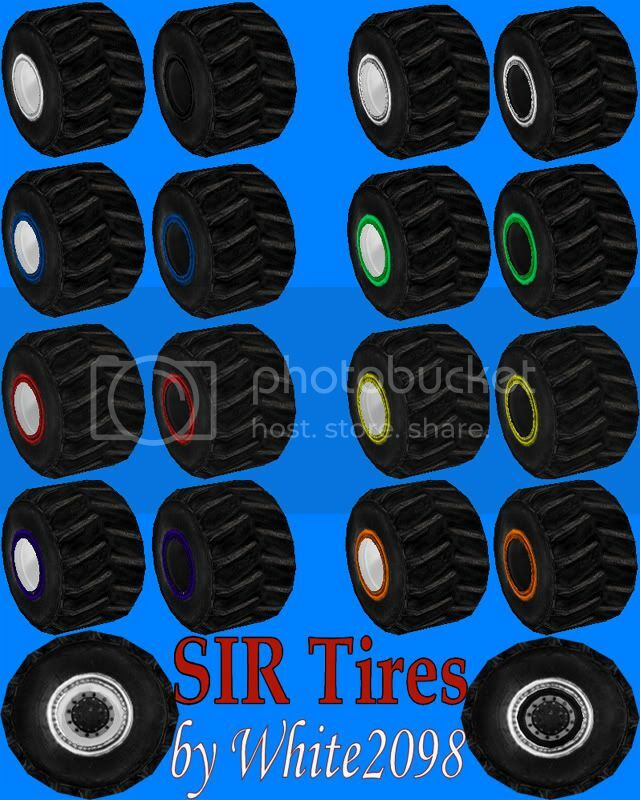 These are replicas of the "SIR" tires many of the monster trucks today run. There are 16 versions in the pack all labeled by the first letter of the color. CIR16R.bin is the main tire(Silver). Example - CIRB16R.bin is the blue beedlock version. you want! Oh yeah, don't forget to give me credit! Once again you've outdone yourself White. As i said before everytime you upload something (especially tires) its always better than the last. These have to be the most realistic looking things to ever grace this game. Incredible job! !